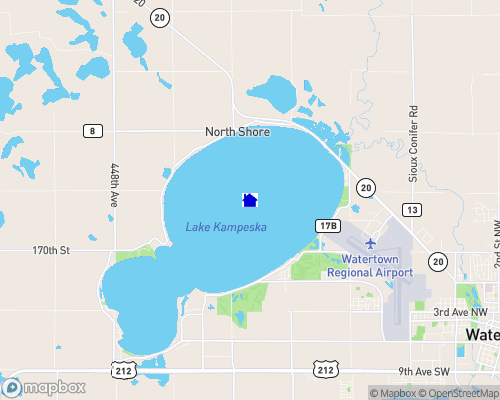 Kampeska Lake is a five and one half mile long and two mile wide glacial lake. Lake Kampeska is annexed to the city of Watertown. It is about 7 X 3.5 miles in diameter. It has all city utilities including water, sewer, gas, electric, and garbage pickup. A great recreational lake with a depth of about 14 feet. Residental properties surround Lake Kampeska.